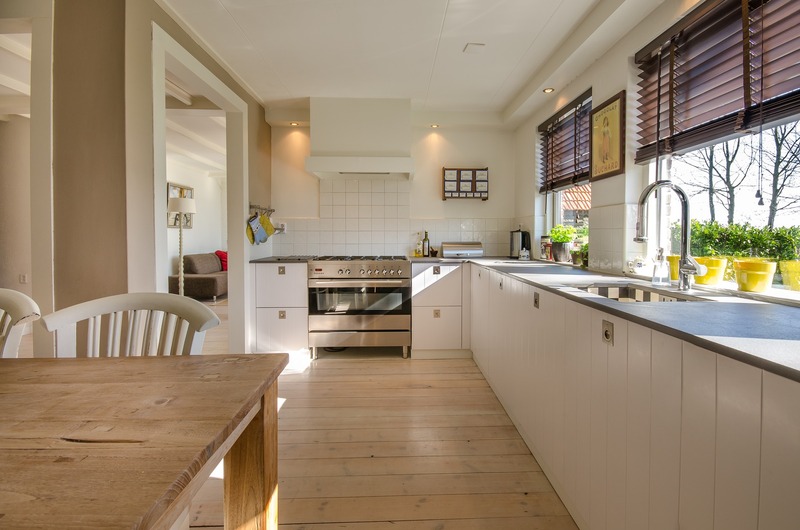 The kitchen is one of the most important rooms of your home to keep clean. Its where you prepare all your food and the rubbish is kept. Here are a few tips to help quickly clean your kitchen. Always start with the sink. According to Paul from domestic cleaners Blue Square Cleaning “This area needs to be kept clean always and sparkling clean. It becomes the most obvious area for hygiene and tidiness.” It will inspire you to make sure the rest of the kitchen looks clean too with an empty sink. An empty sink makes such a difference to your kitchen, if that is always empty and sparkling clean it will make the entire room look tidier. Wash all your cutlery first then clean the cups, plates and then the pots and pans. If you have a dishwasher then rinse what you need to then load it up. Be prepared so keep binbags to hand and as soon as the bin gets full empty it and give it a wipe out and wipe around the bin lid, this will keep it looking and smelling beautiful. Anti-bacterial wipes are great for this job as you can wipe then throw them away. Always make sure you have enough cleaning products, such as anti-bacterial wipes, bleach, kitchen spray, scouring pads, cloths and anything else you might need. Set a timer for each job in the kitchen. If you set a timer for 5 minutes for each job you will be surprised how much you can get done in that time. Wash up, empty the bin, wipe down the surfaces etc. You may even have time spare so you can fit an extra job in to do. If you clean as you cook too this will help immensely with your overall cleaning time. If you are in a rush to clean your kitchen floor, make sure you have swept or vacuumed properly. Then get your mop and spray it with an all-purpose cleaner or floor cleaner. Then mop your floor. It will still clean it well and saves a lot of time for you. Kitchen cleaning jobs you should do each week should include the following. Sweep and mop the kitchen floor. Wash up each time you have a meal and clean out the sink. Empty the rubbish and clean around and inside of the bin. Wipe out the oven each time you use it and clean the hob on the top of the oven too. Wipe out the fridge and the outside of the fridge door too. Wipe down all surfaces, anti-bacterial wipes and or kitchen sprays are great for this job. Every now and again you will also want to do more of a deep clean in your kitchen. This would include jobs such as, cleaning the fridge thoroughly, cleaning the oven, emptying the utensils drawer and cleaning the inside of it. Also scrub down kitchen cupboards and doors to keep them looking clean and bright. Clean the windows inside and out and wipe down the window ledges.